2 passes the ball to 1 and fakes the give & go with 1. 3 sets the screen for 2. 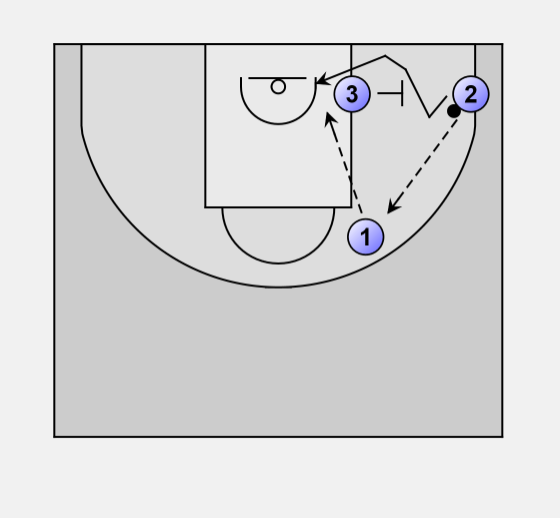 2 uses the screen of 3 and get the ball from 1 under the basket. Depending on the movement of the defenders of 2 and 3, 3 could either step out for a short jumper or move into the basket to receive the ball from 1.